Egg freezing is an exciting technology. Many proponents of egg freezing have lauded the advantages of this technology as a feminist advancement. The idea of offering this technology to healthy young women is revolutionary and empowering. Since we know that a woman’s fertility – including her ovarian reserve and egg quality – declines with age, elective egg freezing offers one option to those wishing to conceive later. Egg freezing allows women to use their own eggs, frozen when they were young and healthy, to help them achieve a pregnancy later—when they might otherwise have a harder time finding healthy eggs. Advances in technology have made egg freezing much more successful. A new technique called “vitrification” — where the eggs are frozen so quickly that damaging ice crystals don’t get a chance to form — has made it more likely for eggs to survive thawing at a later date. Egg freezing is a revolutionary technology that allows mature eggs to be frozen and stored for later use. Initially developed as a means to ‘preserve’ the fertility of women ahead of cancer treatment, it is now increasingly used by women wishing to protect their fertility for a variety of ‘social’ reasons. What is Egg Freezing OR Oocyte Cryopreservation? The fancy scientific name for egg freezing is “oocyte” (egg) “cryopreservation” (freezing). Oocyte cryopreservation, or egg freezing, is the “newest” new reproductive Technology, involving a form of flash-freezing, which allows human eggs to be successfully stored in egg banks, thereby prolonging a woman’s reproductive life span. Oocyte preservation is an important option for women undergoing cancer treatment, for those who may wish to postpone childbearing for personal or medical reasons, or unable to find right partner or for women with a family history of early menopause or Egg donation programs. Women who still have not found their partners but wants to preserve their eggs at a young age. Women who are planning to marry late or conceiving at late age, they can preserve their egg at a younger age. Women diagnosed to have cancer which needs chemotherapy or radiotherapy. Women in fertility treatment whose husband are not available or unable to give the sample on the day of IVF. When should egg freezing be done? A women is born with a fixed no. of eggs, her egg pool and her fertility usually reduces drastically from the age of 36 to 40 yrs of age. A woman’s peak fertility is at between 22-28 yrs of age and the fertility starts declining from her mid 30’s. It is therefore advisable to freeze the oocytes as early as possible to give the best chances of pregnancy. This process has not been followed potentially by many clinics due to insufficient skills and potential. So if you are looking for Egg Freezing in India at Low Cost Best Clinic, we urge you to contact us, we will consult our IVF specialist and send you a list of a few medical tests that she will need for her opinion. We have experience as well as facilities. We have enabled many couples to have a baby by using their frozen eggs at the larger rate than any other clinic in India. Oocyte cryopreservation cost is similar to the cost of an IVF cycle. 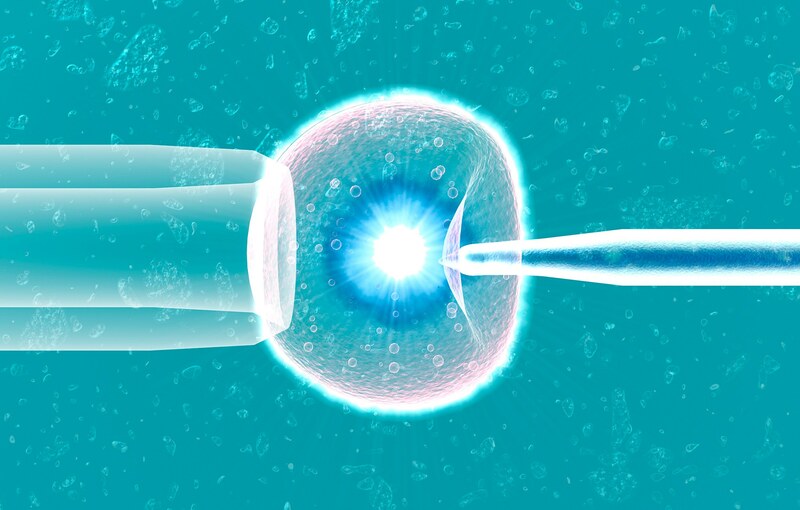 An annual fee is charged for storage of the cryopreserved oocytes after the first year, and intracytoplasmic sperm injection (ICSI) is required to fertilize the thawed oocytes. What are pregnancy rates with egg freezing? Pregnancy rates with egg freezing is almost the same as fresh with the current freezing methods called vitrification. It is about 30-50% depending on the age the eggs have been frozen. How much does fertility preservation cost? The cost of fertility preservation varies widely. There are significant differences from clinic to clinic, etc. If you are comparing facilities, you need to be clear on what the quoted cost includes. For example, the first year or long-term storage? For egg or embryo freezing, are medications included in the cost? Lab costs? Fertilization? Storage? Want to know more about Fertility Preservation Cost / Egg Freezing Cost / Embryo Freezing Cost? How long you want to store your Egg/Embryo? Do You have any insurance plan For Egg Freezing/ Embryo Freezing?